This painting is part of a series "The Journey of Oz". 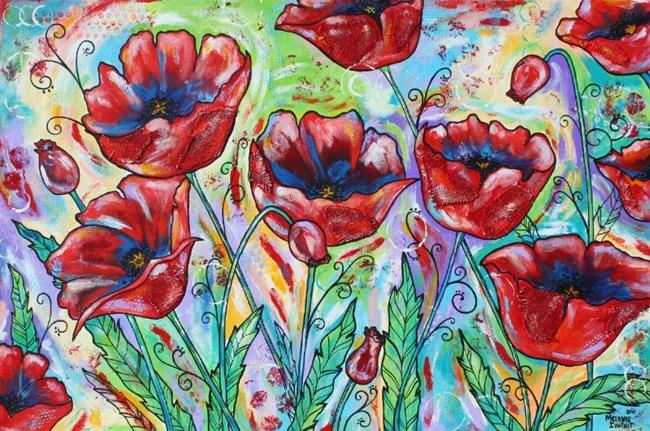 The title is "Poppies..poppies". The beauty of the poppy flowers are quite apparent. But one wouldn't know that something so beautiful could be so deadly. The smell of the poppies induce a lethal sleep in Frank Baum's story. 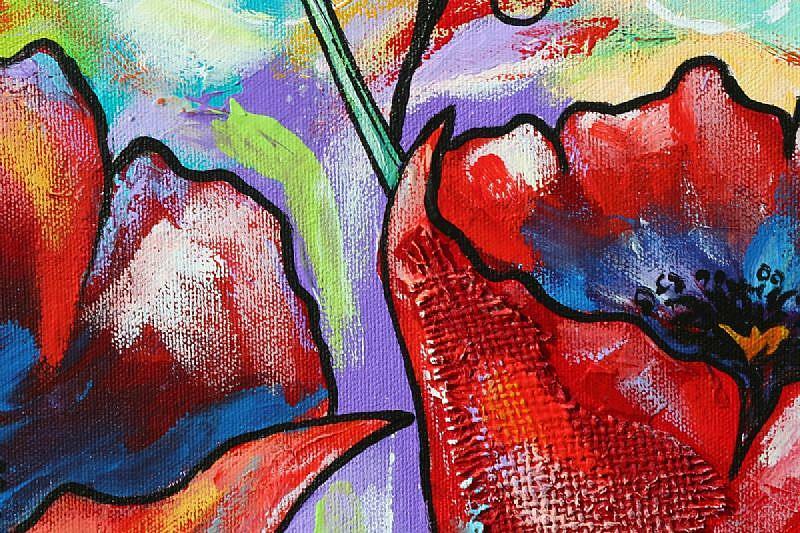 In reflecting the whimsical land of Oz, I used bright colors, swirls and texture to contrast the vivid red of the flower. I want to viewer to "see unexpected" things when their eyes step into the painting.